These Primary Image lessons explore a concise image of the body that we can use to improve our perception in action. They will leave you feeling longer, wider and more comfortable in your body. Deborah Bowes and Cliff Smyth have chosen for recording some of the lessons that most help people refine and improve their body image in action. Moshe Feldenkrais said, 'we act in accordance with our self image'. These lessons will help you enhance your self image through sensing, imagination and movement. They clarify key points of articulation in the body: the shoulders and the hips, the five cardinal lines and directions of force: the arms, legs and spine - to help you move with less effort and more fluidity. In the process of exploring this image, you will find ways to organize your center - the spine, abdomen and chest - to enhance the movement of your limbs. This series is especially suitable for those with some experience of Feldenkrais, or other movement approaches such as Yoga, Pilates and dance, providing you with new tools for learning. OR click on this link for information about additional CD ordering options. 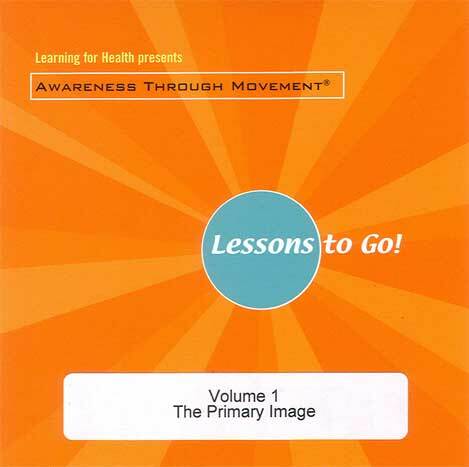 For an article on the idea of the 'Primary Image' from the Feldenkrais Method go to the Primary Image article page. Click on the link to read about our other CD programs for pain, pelvic floor health, repetitive strain injuries and more. Click on the link to read our articles on chronic pain, pelvic floor health, repetitive strain injuries and more. Click on the link to read about our private practice, workshops, education and training services.